California's largest celebration of the annual Steelhead Run! Food Trucks, Live Music, Wine, Beer, & lots of fun! Presented by Poppy & Vine with MicroShiner, benefiting Social Advocates for Youth (SAY). Live music, tacos, wine and beer! 3pm-9pm at The Arlene Francis Center. $10 or pay what you can! In this exhibition, this meaning is expanded to encourage individuals to call out additional threats to society. Join us for a evening of dance, music, live auction and Latino inspired foods and wines supporting Sonoma County health. Warm up with live jazz in the Fireplace Lobby Lounge. No cover. Drinks and small plates available. 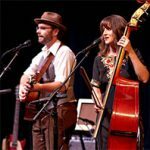 Americana, country, blues, jazz, gospel, bluegrass, cowboy, and swing. Celebrate female composers, pianists and conductors on Valentine's weekend with the Symphony. It's fun and full of surprises and a great venue for artists of all kinds! 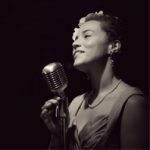 Evocative vocalist Stella Heath brings a fine band to showcase a legendary singer's tunes and history. Originals played with a uke/banjo, bass, 4-part vocal harmonies, trombone, and soprano sax. The sauciest Valentine's celebration this side of The Misty Mountains!